In an effort to recognize developers that produce visually outstanding works in Unreal Engine and reward them with high-end hardware, Epic Games partnered with NVIDIA to create the NVIDIA Edge Program, offering selected recipients each an NVIDIA GTX 1080 Ti. In his spare time, Guilherme Rabello documented the process of creating his beautiful Modern Barn visualisation. Rabello, leveraging Megascans and Speedtree, built a 10x10km landscape with a peaceful oasis in the center and optimized the outstanding scene for his submission for the CG Architects Award. 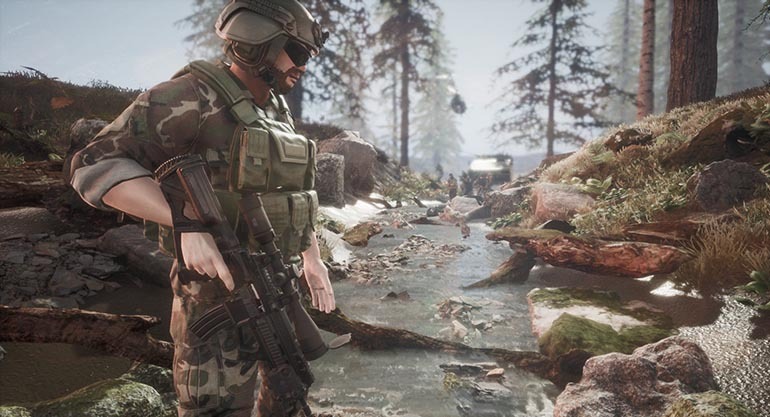 Solo developer Victor Ragot, of Helios Production, is in the midst of development on Black Day, a single-player sandbox tactical shooter with a customizable game experience. Follow the progress of the game with Ragot’s frequent updates. In an homage to Dancing Light, a song from Hong Kong, Chong Zhang has created this stunning tribute video, captured entirely in Unreal Engine. In addition to this fine video, Zhang’s portfolio consists of a number of incredible character assets, shader breakdowns included! Over the last year, our teams have been awed by the incredible display of talent and skill that the UE4 community has shared with us. We are exceptionally proud of all the NVIDIA Edge recipients and humbled by your willingness to share your talents with us. In the coming months, we will be winding down the NVIDIA Edge Program in its current form, but we have exciting plans for 2019. Keep your eyes on our Facebook and Twitter channels for future announcements and don’t hesitate to share your awesome projects with us using #UE4 in the meantime!